Many people have been riveted by the Netflix series Making a Murderer. One of the story’s most compelling aspects is Brendan Dassey’s confession, under interrogation, to his role in a gruesome murder. People often take such a confession as a clear indication of the suspect’s guilt. Why would someone confess to a serious crime unless they are guilty? Innocent people do confess to crimes they did not commit. To date, the Innocence Projecthas worked to exonerate 337 people in the US. In 88, or 27%, of the first 325 exonerations, the innocent suspect confessed, even providing details about the crime. But what leads innocent suspects to falsely confess to very serious crimes? Physical coercion is the most obvious factor that could lead to a false confession, but it is unlikely to be used in a modern criminal interrogation. Psychological coercion, however, is a prevalent and powerful tool. It can include telling the suspect lies about the evidence or implying to suspects that they will receive lenient treatment if they confess. 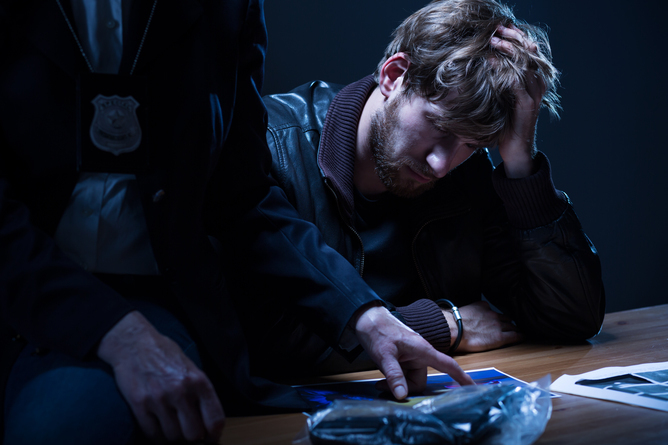 In North America, the most common interrogation method taught to police is the Reid technique, which leverages these psychological tactics to obtain confessions from suspects. This technique has two key stages: the pre-interrogation interview and the interrogation. In the pre-interrogation interview, the interrogator must determine whether a suspect is being truthful when they deny their involvement in a crime. Reid technique interrogators are instructed that truthful and deceptive suspects differ noticeably in their behaviour. For instance, truthful suspects sit comfortably upright; deceptive suspects maintain a rigid or avoidant posture. To an interrogator trained in the Reid technique, Dassey’s demeanour alone would have suggested that his initial denials were lies. But such simple distinctions do not exist between liars and truth-tellers. People, including police, are very poor at determining whether someone is lying or telling the truth. Accuracy rates are only around 50/50. Police also display a bias towards deciding that a person is lying. The Reid technique’s pre-interrogation interview therefore places innocent suspects in danger of being judged as deceptive by interrogators who are biased towards judging people that way and low on lie-detection accuracy. If the interrogator decides that the suspect is deceptive (and guilty of the crime), the suspect is moved on to the interrogation phase. Thus, the Reid technique’s interrogation is guilt-presumptive: the interrogator has already decided the suspect is guilty. The interrogation’s goal now is to extract a confession from the suspect using a range of psychological tactics. For example, the interrogator should accuse the suspect, confronting them with real or fabricated evidence, and reject the suspect’s denials. The interrogator should also empathise with the suspect, thus implying that confession will be met with understanding. In Dassey’s videotaped confession, these tactics are used. This interaction places great pressure on the suspect, regardless of their guilt or innocence, to confess. The interrogator’s predetermination that the suspect is guilty has a strong influence on both the interrogator’s and the suspect’s behaviour. In one experiment, interrogators with a presumption of guilt were more confrontational in their questioning of suspects, and also made suspects sound more anxious and defensive to observers listening to the interrogation. Some suspects are particularly susceptible to psychological pressure. With a low IQ, Dassey was highly vulnerable. Individuals with intellectual disability are over-represented among proven false confessions in the US. People who are intellectually impaired display a high need for approval, especially from authority figures. This manifests as a tendency to agree – even with nonsensical statements. Intellectual impairment also limits people’s capacity to foresee the consequences of their actions when making legal decisions. This greatly increases their risk of false confessions.